As you may have heard, earlier this week two JP Morgan employees, Javier Martin-Artajo and Julien Grout, were charged by federal prosecutors with conspiracy, wire fraud, and false filings, for "engaging in a scheme to falsify securities filings between march and May of 2012." 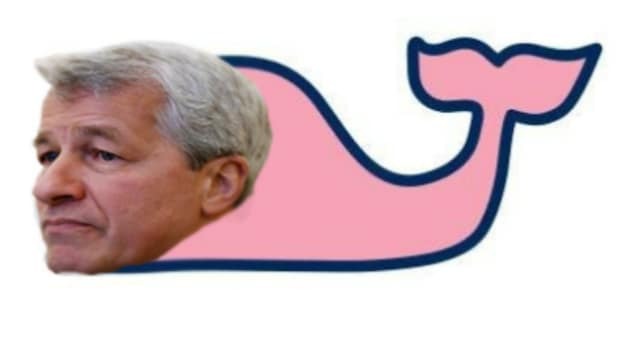 Both men were based in JP Morgan&apos;s London office (as was the guy whose PnL they were allegedly falsifying, AKA the London Whale). Presently, both remain overseas, though Manhattan U.S. Attorney Preet Bahara has urged them to "do the right thing" and surrender stateside. According to Grout&apos;s lawyers, that&apos;s not going to happen any time soon because 1) he is busy looking for a job and 2) he doesn&apos;t consider himself a fugitive (and France has "no obligation under its extradition treaty with the U.S. to send him to New York). As for Martin-Artajo? As far as he knows, he&apos;s yet to be given a valid reason why there&apos;s anywhere he needs to be besides a beach sipping drinks with tiny umbrellas in them. Martin-Artajo, a Spanish citizen, was on vacation, his attorneys at Norton Rose Fulbright LLP in London said in an Aug. 13 statement. He “received no communication from any governmental regulators, including the Financial Conduct Authority in the U.K. with whom he has fully cooperated, which would indicate that he should not be on vacation at this time,” they said. Martin-Artajo has cooperated with every investigation required in the U.K. and is confident he will be cleared of wrongdoing, the lawyers said in the statement. Unless the defendants surrender to authorities, the U.S. will probably have to seek extradition.